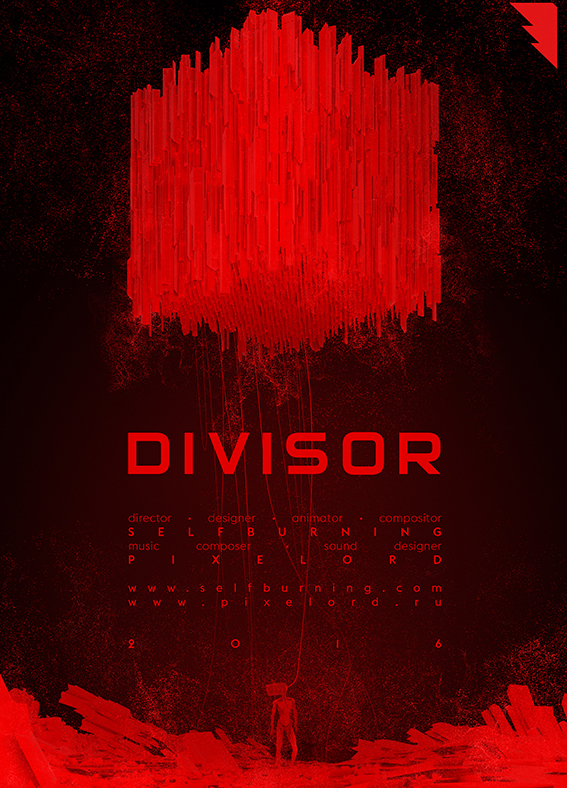 “Divisor” shows the unexpected consequence as a result of mind shifting. Cyberpunk and virtual reality have shaped the esthetics of this short film. Nick was born on January 4, 1979 in Karaganda, the USSR. In 2002, graduated with the Master of Architecture and Design degree from the Academy of Architecture and Arts of the Southern Federal University in Rostov-on-Don. In 2004 he moved to Moscow and started working in studios producing 3D and motion graphics. In 2006, founded the Selfburning team with a friend and began to produce short art videos and participate in shows at local and international shows and festivals.